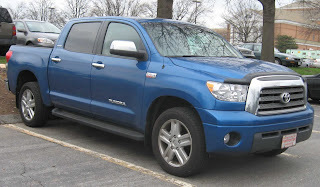 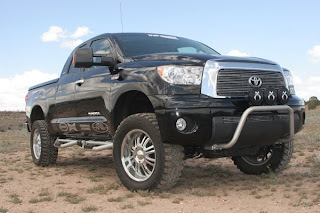 For Toyota Tundra buyers looking for a higher level of refinement and additional convenience features, the 2010 Tundra will offer a new Platinum Package that will be available on 2010 Toyota Tundra CrewMax Limited models equipped with the 5.7-liter V8 and Flex Fuel powertrains. The package contains a vast assortment of features that make the CrewMax Limited virtually monospec and will carry a manufacturers suggested retail price (MSRP) of $5,140.On the outside, the Platinum Package includes a new Limited grade billet-style grille with chrome bumpers, unique 20-inch alloy wheels and tires, daytime running lamps, door sill protectors with a Platinum logo, and Platinum badging. 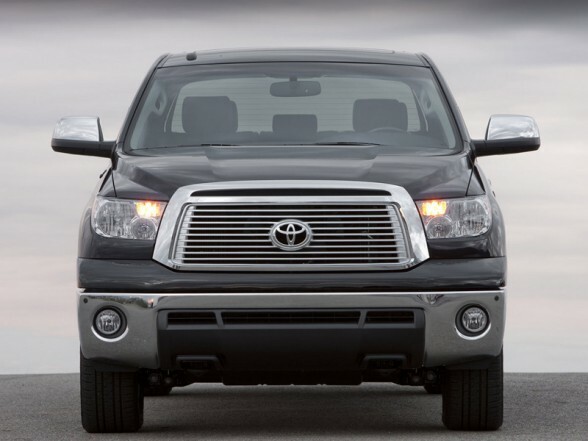 The Platinum Package will be available in four exterior colors that include Black, Silver, Slate, and Salsa Red. Inside, the top-of-the-line package adds an array of luxury comfort and convenience features including a power memory function on the driver’s seat, outside power mirrors and puddle lamps, and a tilt and telescopic steering wheel. 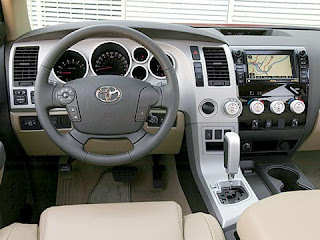 Also included in the Platinum Package is a power tilt and slide moonroof, navigation system, ventilated seats with a unique perforated leather seating surface, wood trimmed shift knob and door switch plates, auto up/down driver and front passenger windows, chrome accented HVAC vents and controls, and headrests with an embroidered Platinum logo. 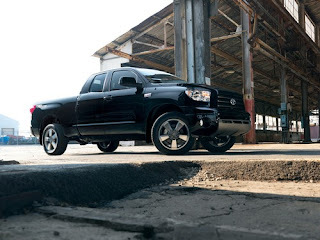 With a focus on utility, the Toyota Tundra Work Truck Package is aimed at commercial truck buyers in industries such as farming, ranching and construction, or those who require a tough no-frills truck with exceptional cargo and towing capacity. 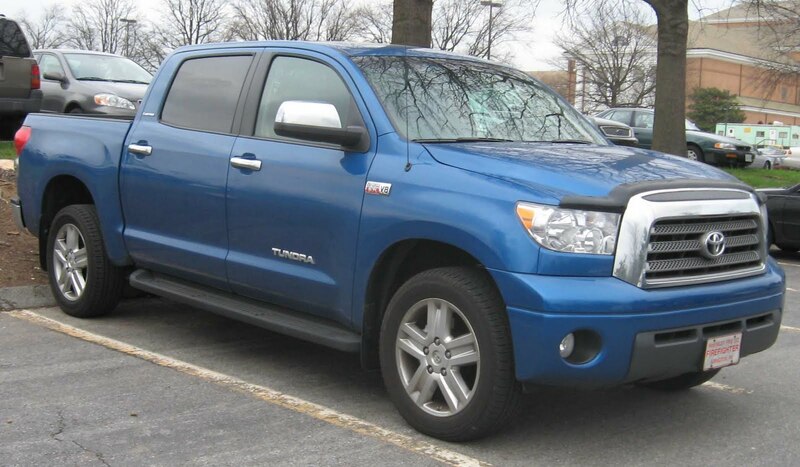 The new work truck will be available on Toyota Tundra 4×2 and 4×4 Regular Cab and four-door Double Cab models in standard and long bed configurations. It will be available with a V6 or one of two V8 engines including Toyota Tundra's powerful 381 horsepower 5.7-liter i-Force V8, with a towing capability of up to 10,800 pounds.